Fall/Winter Outfit Inspo. The FURce Awakens! This is a terrible pun based upon the fact that I have a jacket with an extremely fake fur lining (I DO NOT SUPPORT REAL FUR, PUTTING THIS OUT THERE LOUD AND CLEAR) and also because I’m wearing a Star Wars t-shirt. Y’all know I love Star Wars. 1) In recent years, I’ve began to really enjoy shopping for clothing and putting together outfits, and using clothes to make myself feel great. 2) I really love reading male fashion blogs/watching videos on YouTube, however there aren’t a ton of male fashion focused things, nor are many of them THAT affordable. Sure, I love expensive clothes, but I don’t have the budget, nor think a lot of things are worth it (though, ombre jumper from Reiss, if I could have tracked you down, I would have dropped the £50 on you). 3) It’s fun to go out and take pictures and do this stuff! Keep reading to see more pictures and to also get to the links of where you can get everything! I should have worn my bigger biceps that fill this shirt. 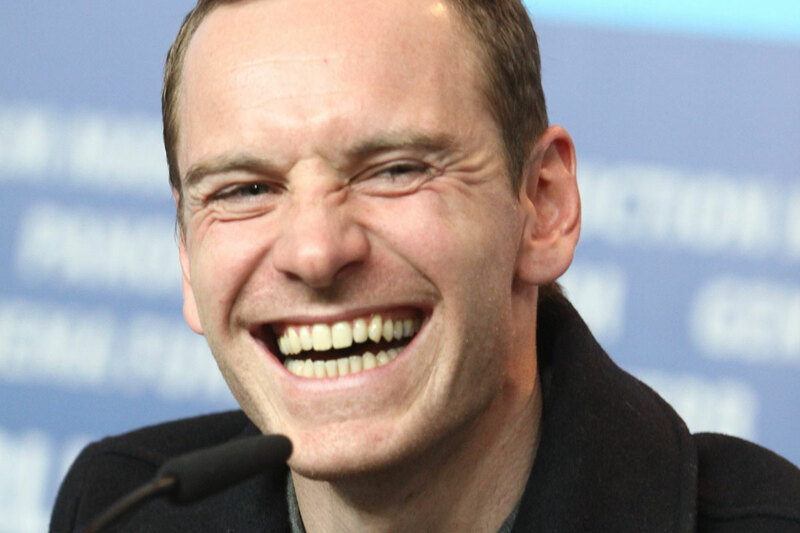 Michael Fassbender and I share a laugh face I have discovered. That’s not the only thing we share. NOPE, this is a (mostly) family friendly blog, it’s not time for these jokes. This is a natural laugh or is it a CRY FOR HELP? You decide. But this is actually a laugh. I have a very aggressive face when I laugh but just make wheezes instead of actual laughs. Remember that I am squad goals always. That is what this last picture is for. Or really because this is the first time I ever had to properly pose and it made me uncomfortable so I deflected it with humour. Photo cred to Ren once again! Western Jacket with Borg collar: £30, ASOS, but sold out. Look here for similar. White Star Wars T-shirt: £10 Topman, but sold out and removed from site. There are hundreds of similar Star Wars shirts everywhere! Sorry, my links aren’t very helpful today, I buy so many of my clothes in sales that they seem to be gone by the time I post it! I’m living on a student budget, and also simultaneously trying not to spend too much money so that I can travel and move into my own real flat post uni, so I think it can be excused for now.